Enjoy a touching family adventure film at the Mill Valley Film Festival! Youth in Arts is co-presenting The Amazing Wiplala at this year’s Festival, with showings Saturday and Sunday, October 17-18 at 11 am. 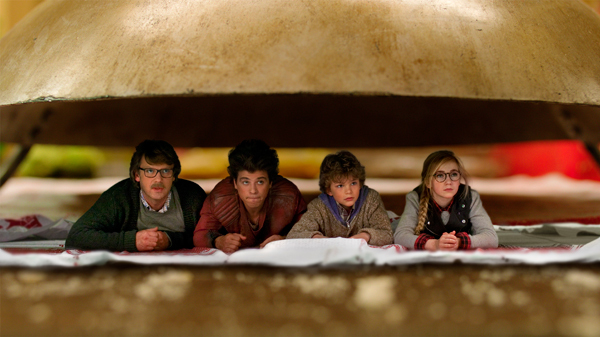 Honey, I Shrunk the Kids slapstick mixes with heartfelt bonding between a lonely boy and his grieving father and sister in The Amazing Wiplala, based on a popular Dutch children’s book. Nine-year-old Johannes is adrift after losing his mother. His sister treats him like a pest; his father is distracted and absent. A bump in the night leads Johannes to discover a tiny intruder who has magical powers (though he is decidedly not a leprechaun). Chaos ensues as “Wiplala” demonstrates his prowess at zapping others down to his own four-inch size. Trouble is he can’t reverse the spell, and once the whole family is miniaturized, they’re launched on a slapdash odyssey that takes them from Amsterdam’s treacherous streets to the top of the Royal Palace. Wiplala and Johannes band together to save the day, learning to harness the true magic of believing in oneself. Ages 7+. Running Time: 100 minutes. In Dutch, with English subtitles read aloud.